Following a regular exercise routine becomes more challenging as we age. We may not have the flexibility and strength we once had. We may fall more easily and be more prone to injury. Chair exercises for seniors can help you stay active and reap the benefits of exercise with less pain, stiffness, and risk of injury. 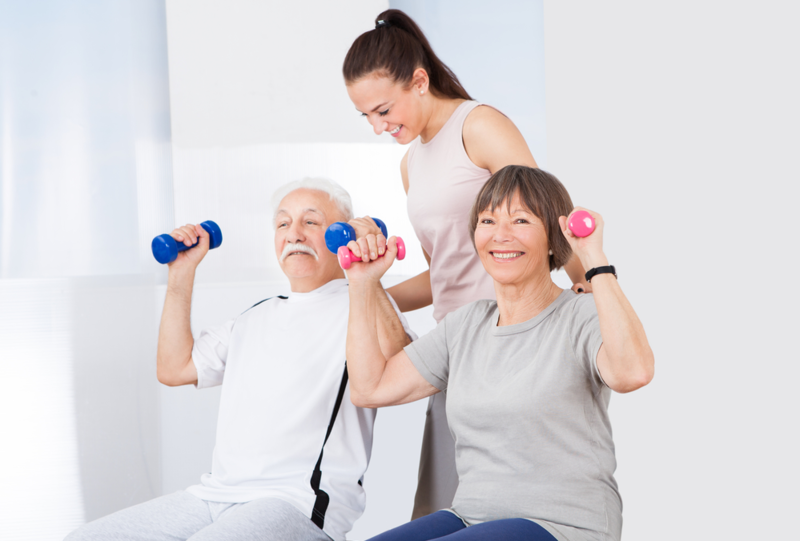 How Do Chair Exercises Benefit Seniors? Chair exercises are exercises you can do while sitting or holding onto a chair. 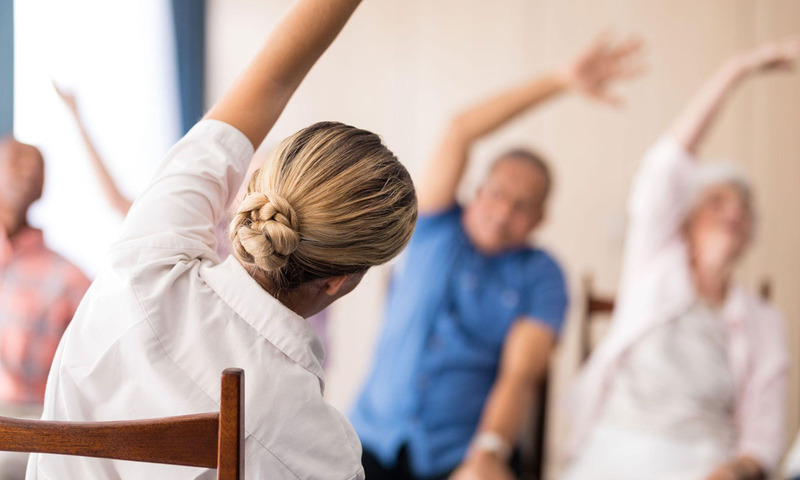 Chair exercises for seniors can help you improve your overall health while providing support and safety. It’s never too late to start an exercise program. 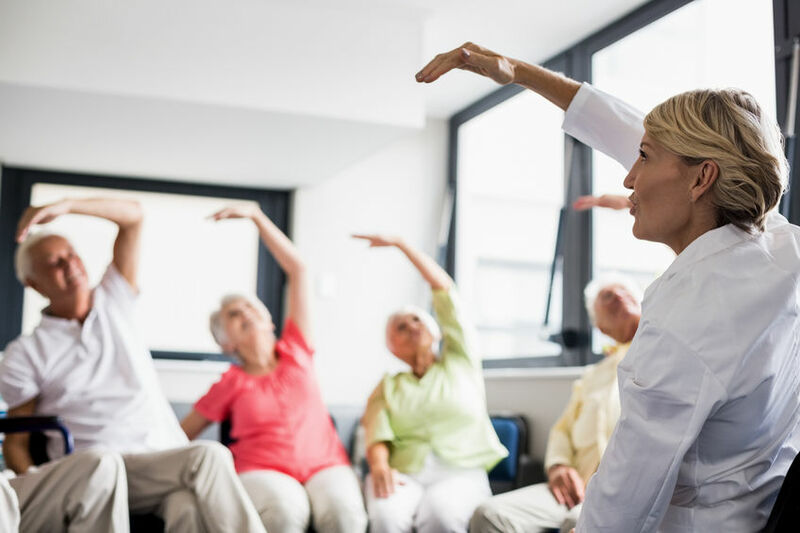 There’s significant evidence that physical activity and exercise in older adults provide many benefits, regardless of your current health or fitness level. These chair exercises for seniors strengthen your upper body muscles to give you greater balance, which greatly reduces your risk of falling. Strengthening your muscles also makes tasks of daily life–like lifting and carrying grocery bags–much easier. Here are some chair exercises for seniors that work your quads, glutes, and calves. These exercises will help you more easily climb up and down stairs and generally improve your mobility. These chair exercises for seniors will help you strengthen your muscular foundation, improve your posture, and protect you from accidental falls. It’s just as important to stretch your muscles after you exercise as it is before you start your workout. Stretching increases your flexibility, prevents stiffness in your joints, and helps prevent injury. Here are some stretches you can do in a chair after you finish exercising. You can also repeat the warm-up exercises at the end of your workout. 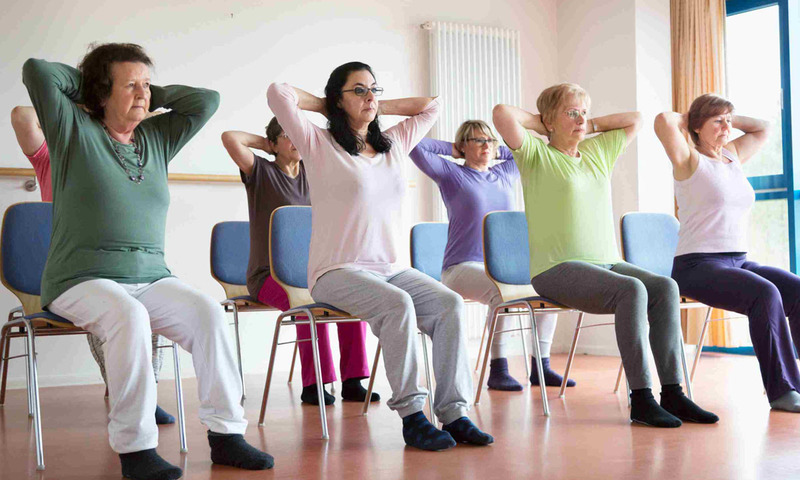 Chair exercises for seniors allow you to safely improve your strength, mobility, and cardiovascular health. Chair exercises have many documented benefits. They’re just as effective, yet gentler on the joints and less likely to cause pain or injury than traditional exercise routines–so find a chair and give your health a boost!